Coffee Bar Thursday Evenings – In every city there will be soup kitchens, but not every venue endeavours to integrate it’s soup kitchen into the heartbeat of everything else that goes on. 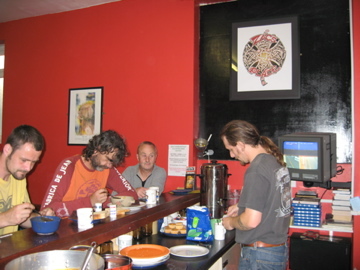 The Thursday night Coffee bar at Zac’s Place is an open access free hot meal for anyone that needs one. We can serve up to 45 meals each time and also meet many other practical needs from a dedicated team of volunteers. Anywhere between 1000-2000 meals per year. 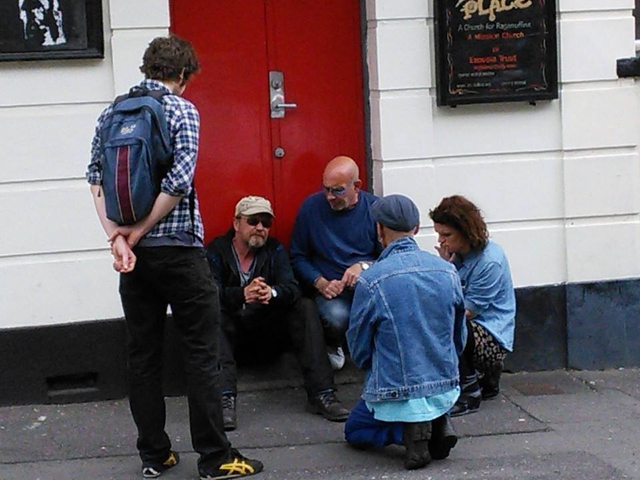 Zac’s Place has also been pro-active in raising issues of homelessness and the stories of people in crisis; most recently with BBC Wales in a series about life on the streets and Gritty Productions pilot theatre project, where those with experience of homelessness or were indeed still homeless, worked alongside actors to create original pieces of punchy autobiographical theatre. You may like to read this blog feature, written in the wake of the death of one of our friends, which was widely reported on at the time – ‘Is Anyone Listening’. To support these efforts please see the ‘Support’ page on this site. Thank you. 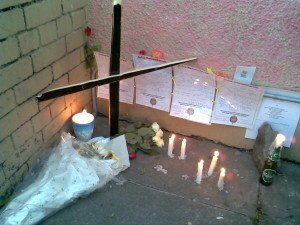 For some, the street is not only where they live, but also die. Tonight I visited Zacs Place for a gig with Martyn Joseph and Whispering Bob Harris. I had never heard of Zacs Place before tonight and hearing what sean had to say and also some of the volunteers, I feel totally in awe of the work everyone does here. We all know that these places exsist but I think a lot of us pretend that they dont because it doesnt effect us or our families and it has really touched me tonight the work you guys do and I just want to say thank you and keep doing what your doing. Thank you Karine for supporting the event and for your kind words, much appreciated. I work as a volunteer for the rough sleepers with Karl from the wallich organisation. I have been approached by some of my friends who would like to offer once a month donating a handmade meal (well 45 of them ) for your Thursday night soup kitchen. Would it be something that you would be interested in? Hi I was wondering if I could help out in the reception area when the nurses come to help the guys. Susan, could you email us via the contact / about us page please. Thank you.